Watch your head, Kagome means business! 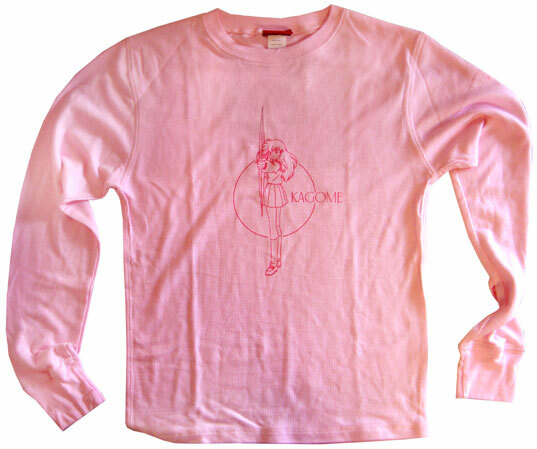 But this pink long sleeve T-shirt is more casual wear than business attire. Kagome doesn't think so, though.